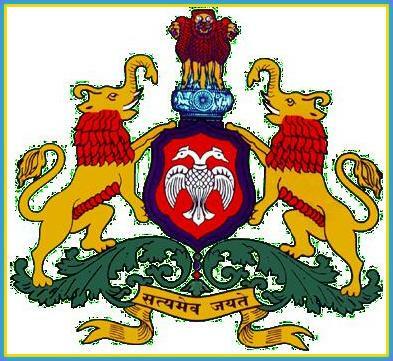 Availability: Karnataka PGCET 2019 Application Form is available on the official website from 13th May 2019. The last date to fill the application form is 7th June 2019. Application mode: The Karnataka PGCET 2019 application form will be available online on the official website. Application Fee: Karnataka PGCET 2019 Application Fee can be paid either in offline or online mode. Eligibility: Candidates are required to check the eligibility criteria before filling the Karnataka PGCET 2019 application form. The application fee for Karnataka PGCET 2019 can be paid in two ways. SBI: Candidates can pay the Karnataka PGCET 2019 application form fee in any branch of State Bank of India. Process: Candidates should downlaod the e-challan from the official website of Karnataka PGCET 2019. Credit/Debit: The payment for Karnataka PGCET 2019 application form can be made by using a credit/debit card or net banking. Candidates are advised to take a print out of the receipt of Karnataka PGCET 2019 Application form fees generated online. Counselling: Take a copy of the Karnataka PGCET 2019 application form and affix a photograph—same as the one uploaded. Stamp your left thumb impression and sign the same. This is to be mandatorily produced during Karnataka PGCET 2019 counselling. Application fee: Karnataka PGCET 2019 application fee INR 650 for General/OBC candidates and INR 500 for SC/ST candidates. Can I pay the Karnataka PGCET application fees via an e-challan? Yes, candidates can pay the Karnataka PGCET application fee through an e-challan. Can I pay the PGCET application fee online only? Candidates can pay the application fee for PGCET 2017 through online and offline modes. What is the online application form fee payment procedure for the PGCET 2017 exam? The payment for PGCET application form can be made using a credit card/debit card or net banking. After payment is made, take a print out of the receipt generated online. What is the procedure for the offline application form fee payment for PGCET 2017? The payment for the PGCET application form can be made in cash at any State Bank of Mysore branch. After generating the PGCET E-challan and printing the PGCET e-challan, the payment can be made physically. For what amount I should draw the DD for KEA PGCET? send the e-mail to Administrative Officer, KAE at keauthority@nic.in. What is the application fees for the application form? The application fee for General/OBC candidates is INR 650. The application fee for SC/ST candidates is INR 500.